Specializing in custom design hydraulic and pneumatic cylinders of all sizes and types Hydratech has been serving it’s loyal customers for over 30 years. Hydratech is well known for providing industry leading customer service and reliable product and continues it’s commitment to quality, quick response, state of the art engineering designs, on time delivery, and competitive prices. Our experienced professional engineering staff can design cylinders for any application with a focus on safety, reliability, and performance. 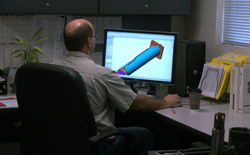 Utilizing state-of-the-art computer design systems our engineers can produce timely design and cost information or detailed analysis including FEA. Hydratech cylinders perform critical functions in many industries and our design team listens and learns all it can about each application so that our cylinders will function perfectly and reliably. 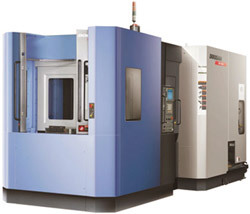 Hydratech is dedicated to continuous improvement and uses the latest technology in manufacturing. Our highly automated but very flexible shop is organized and capable of producing value added product in high volume or in very low quantities. Hydratech is a member of Ligon Hydraulic Cylinder Group, the largest custom hydraulic cylinder manufacturer in North America. The purchasing power with this association along with lean manufacturing principles allows Hydratech pricing to be highly competitive while never compromising the quality of the materials or processes used in building the product.